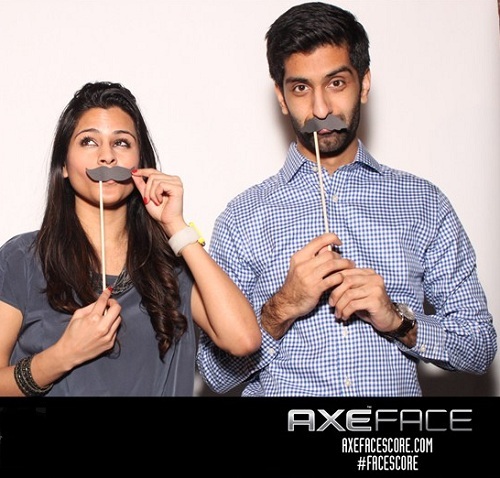 Me and my friend Adeel photo-boothing at the Axe Face launch event! ANYWHO. Just last year, AXE introduced their line of body sprays for ladies, and this year, they’ve focused back on their grooming portfolio with the launch of AXE Face (that pic above was from the launch party). The line is complete with face-refreshing products for a clean shave and smooth skin for guys, but they didn’t come up with their products without doing their research. In a recent survey, they found that 97% of 18-24 year old girls think it’s important for guys to have clear and smooth skin, yet only 27% of dudes are using the right products. What’s more, while 87% of guys wash their face everyday, only a third of those guys actually use face wash to do so. In fact, 14% of guys use only water, and 18% are using shampoo to do the job…ok that just hurts my heart. To educate guys on their skin type, Axe launched AXEFacescore.com. 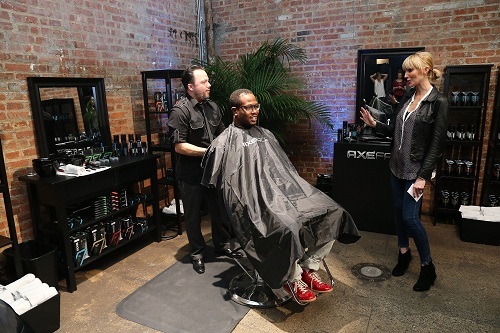 Denver Broncos linebacker, Von Miller made an appearance at the launch event to showcase the products (ie get a shave in front of room full of hundreds of people). 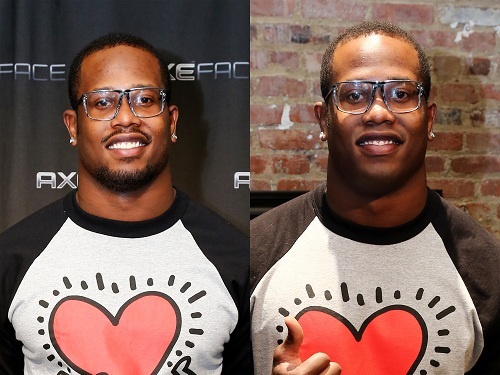 Von's before and after pics! -BOOST – which uses micro-beads to stimulate tired-looking skin. The Boost cleansing formula keeps guys’ skin feeling toned and smooth. -CONTROL – An exfoliating scrub for oily skin, and helps remove excess oil and impurities from the pores. Which one would be your skin type? 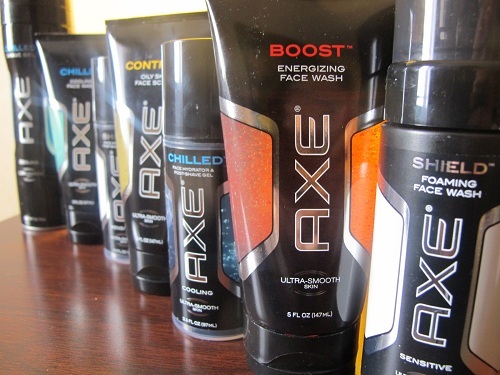 Axe Face retails at mass drugstores from $4.50 to $9.